Big manufacturers are running into an uphill battle persuading President Trump to back an Obama-era climate deal. 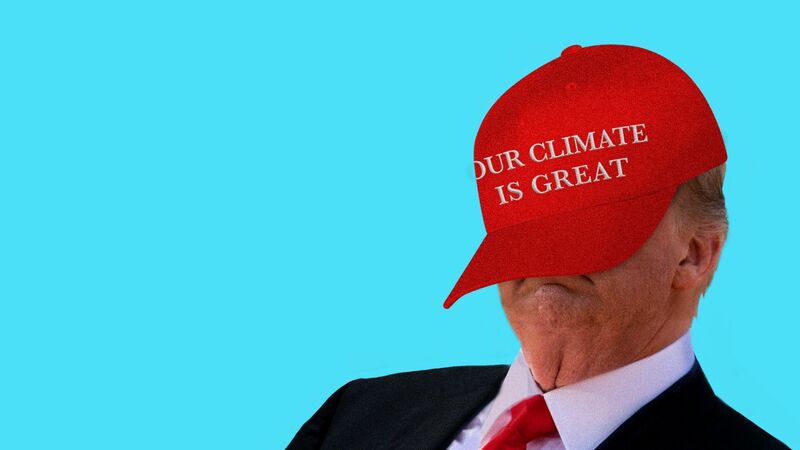 The big picture: It's proving hard for them to convince a Republican who abhors regulations, dismisses climate change and dislikes global accords to embrace a policy that combines all three. It’s also the latest example of industry running into surprise trouble convincing Trump to back policies businesses support, like free trade. The intrigue: Trump administration officials are concerned about costs to consumers who use appliances affected by the policy, including air conditioners and refrigerators. They're also critical of some of the tactics industry has employed in lobbying, according to multiple current and former government officials. The details: The policy at hand is an amendment to the Montreal Protocol, a global treaty first created 30 years ago to protect the Earth’s ozone layer. The amendment reduces greenhouse gases, known as hydrofluorocarbons or HFC's, emitted from refrigerants in everyday appliances. With leadership by the Obama administration, world leaders agreed to it in Kigali, Rwanda, less than a month before Trump’s election win. Fay represents companies like Carrier, Honeywell and Dow that make or use chemicals and equipment that contain the gases. HFC's a replacement for other gases that depleted the Earth’s ozone layer. But since they're contributing to climate change, they're now targeted for reduction. Fay’s member companies will be hit by the policy shift, but they have invested millions over many years planning for it. So in a twist on conventional wisdom, industry is pushing for regulation. “We’ve been reminded numerous times that this administration is not here to regulate greenhouse gases,” Fay said. Backers of the policy, including the U.S. Chamber of Commerce, National Association of Manufacturers and Americans for Tax Reform, are seeking to persuade the president by soaking their pitch in Trumpian language. Last week, a new industry coalition launched, called Let America Lead, that focuses on how the policy creates American jobs and gives U.S. companies a competitive edge over foreign companies in manufacturing and trade, particularly with China. It has gathered a list of support statements from conservatives. Climate change isn’t mentioned. Not so fast. The administration is still weighing whether to take the necessary next step: Sending the amendment to the Senate for a ratification vote. This uncertainty indicates a shift since November, when a career-level State Department official said the administration supported the policy. Concerns about economic and consumer costs persist. The Environmental Protection Agency is conducting an internal study about consumer costs. The administration has also asked backers of Kigali to provide their own numbers, which Fay said they’re pursuing. Also at the request of the administration, industry groups issued a study in May touting the broad economic benefits of the policy. Fay and other industry officials involved said the coalition was purposefully quieter last year as attention focused on Trump’s campaign promise to withdraw the U.S. from the higher-profile Paris climate deal. Kigali goes into force for countries that have ratified it in January. Conversations with the administration and Senate Republicans have been constructive and positive, Fay said: “That doesn’t mean there aren’t skeptical people out there who are concerned about any relationship to climate." The White House's National Security Council, which is leading the administration's review, declined to comment. The Kigali amendment features two attributes that make it far less politically polarized than the Paris deal. This could be pivotal to a final decision. Historical precedent: The Montreal Protocol has a record of success and GOP origins. President Ronald Reagan — who Trump likes — brokered the original treaty in 1987. Kigali backers also say the amendment process actually started in the final years of the George W. Bush administration. Procedure: Kigali would face a vote in the Senate. Paris didn't. In that 2015 deal, Obama knew the GOP-controlled Senate wouldn’t ratify a climate treaty. So he struck what amounted to a political agreement without legally binding reduction requirements. The bottom line: Will these differences be enough to get Kigali across the Trump finish line? Compared to Paris, “maybe it has a lesser chance of failing," said an administration official.